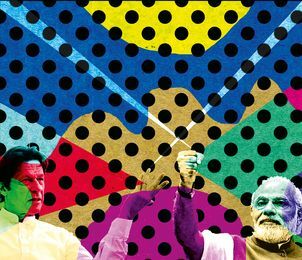 The Indian narrative on the stunning victory of Imran Khan in the Pakistani elections has a self-serving bias. The narrative becomes all but an advocacy for inaction on the part of the government vis-à-vis the emergent situation. The narrative is repeating that the more things change, the more they stay the same in Pakistan. Yet, the heart of the matter is that the ascendance of Imran brings Pakistan to an inflection point, an event that marks the start of a significant improvement, deterioration or disruption in India-Pakistan relations. It is, arguably, a strategic inflection point; a continuation of the status quo would only lead to certain failure. What makes Imran extraordinary is that he has a westernised history, a subsequent history of being dangerously accommodative toward religious extremism and a concurrent history of addressing the chronic problems of Pakistan’s political economy as his life’s mission—poverty, social disparities, corruption and so on. What adds to the mystique is that he freely acknowledges today that Pakistan cannot achieve its social and economic potential without being at peace with its immediate neighbours. Being tentative towards Imran will be a catastrophic mistake. The Indian leadership should not fall for the narrative that Pakistan is caught in a time warp. India no longer has a choice of ‘dialogue-or-no-dialogue’. Imran held out an olive branch in his victory speech. Delhi also has a wonderful opportunity to reciprocate by ending the stalemate over the scheduling of the SAARC summit in Islamabad. Indeed, a meeting in September on the sidelines of the UN General Assembly can help break the ice and establish a personal rapport between Narendra Modi and Imran, who may have mutual affinity and common concerns they are unaware of.